Cuyahoga Valley National Park preserves and reclaims the rural landscape along the Cuyahoga River between Akron and Cleveland in Northeast Ohio. 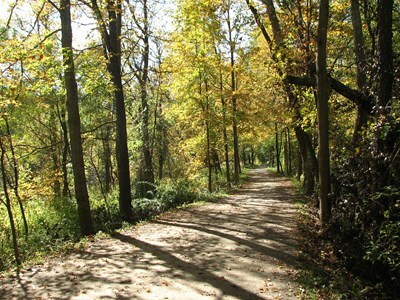 The 51-square-mile (130 km) park is the only national park in Ohio. Cuyahoga means "crooked river" in Mohawk. On September 19, 2010, a Bobcat was found close to Cuyahoga Valley National Park. The picture was taken at 1:40am with a motion activated camera in a resident's backyard that bordered the park. This description uses material from the Wikipedia article on Cuyahoga Valley National Park and is licensed under the Creative Commons Attribution-ShareAlike License (view authors).